These rings arose as a combination of my fascination of the continuously varied textures of my Maple Leaf Series and my love of line, of winding things up to see how each layer snuggles up against the next. 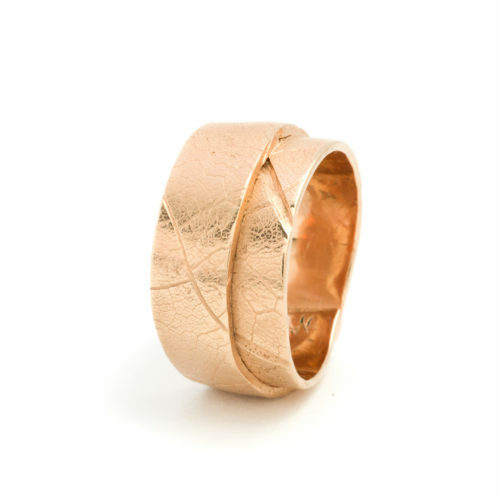 And thus, the Maple Wrap rings were born: each one, the fresh impression of a unique maple leaf, wound up in its own particular way. 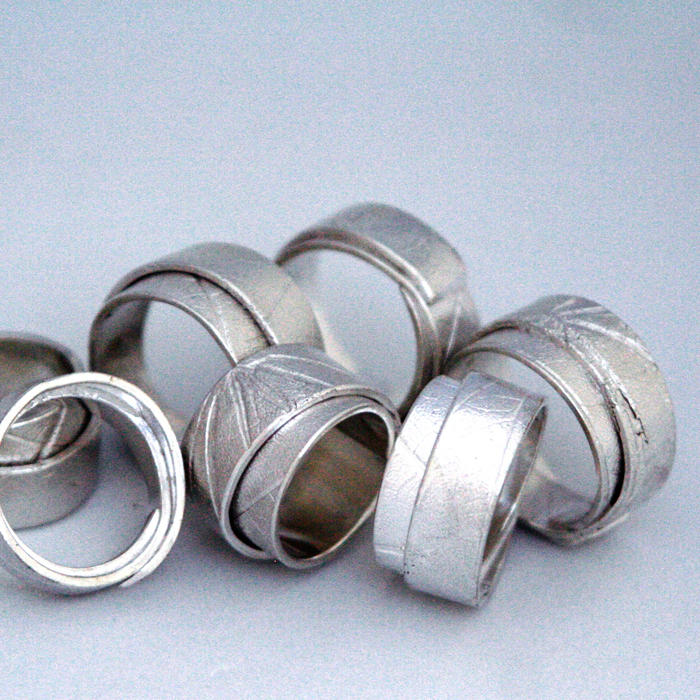 These rings are both feminine in their gentleness, and masculine in their bold strength. Each ring is made from an individual, fresh Maple leaf. The rings can also be set with stones. Contact me to inquire. ON SALE FOR CANADA 150!